You cannot add "TARA BOWL" to the cart because the product is out of stock. This is such an extraordinary design that it will take your breath away. Created by Pakistani artisans using the silversmithing art that has been handed down from generation to generation. The foot of the bowl resembles branches that are adorned with elegant butterflies. The basin has a delicately hammered pattern with a rounded edge on which another butterfly rests. This Flutter Bowl can be used to keep trinkets, as a decorative candy bowl or even in its own beauty. 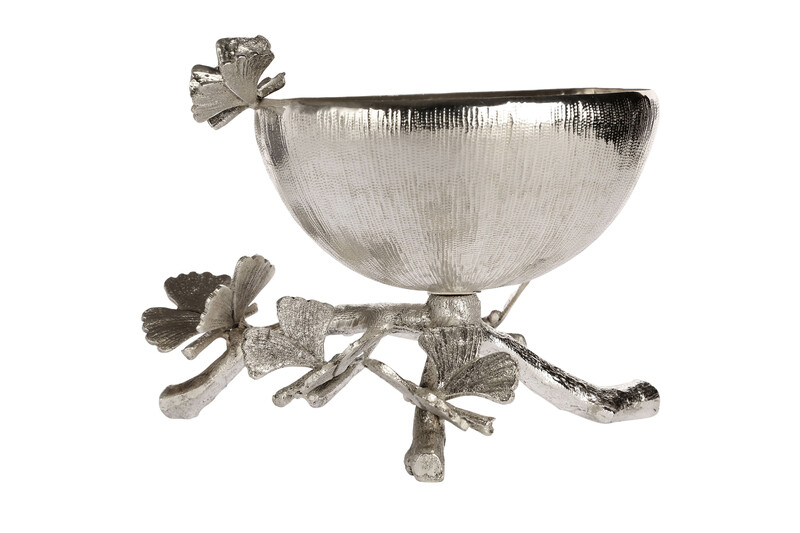 Wherever this bowl is placed it will add elegance to the luxury home or office. And it will make the perfect gift idea for any occasion.